Martin Heslop is a composer and writer based in Newcastle. 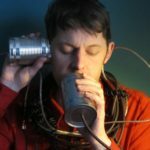 He has written musical scores and lyrics for theatre and film, and has worked on many collaborations with poets, playwrights and visual artists for live performances, recordings and installations. See www.martinheslop.wordpress.com for more details.